Imagine the flexibility, variety and space-savings with four ovens in one. 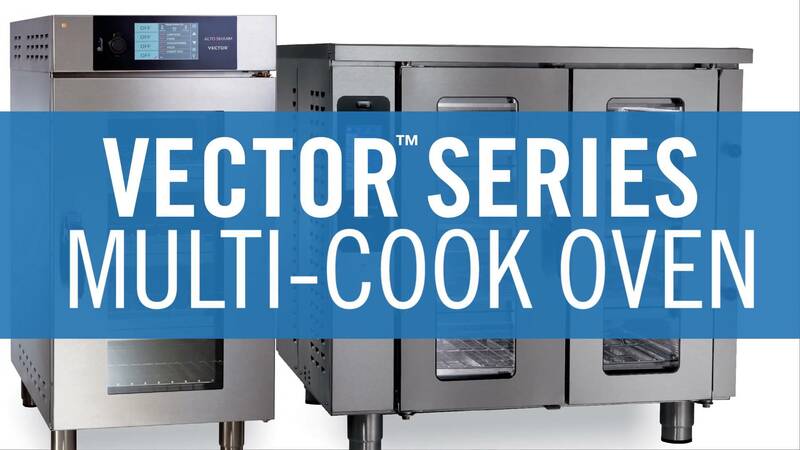 Control temperature, fan speed and time in multiple, independent oven chambers all in one small 21” footprint. And you can place it anywhere with a ventless option. Ardent isn’t just a restaurant; it is an intimate dining experience. Chef/Owner Justin Carlisle treats his guests as though they are visitors in his home. Imagine the possibilities! 4 foods, 4 temps, 4 fan speeds, 4 times. In 1 oven! The Vector Multi–Cook Oven features exclusive Structured Air Technology – a breakthrough in cooking technology in a category by itself. The CT PROformance™ Combitherm® Oven features PROpower™ turbo mode allowing up to 20% greater speed than other combi ovens and up to 80% faster than conventional technology. Combined with Absolute Humidity Control and five levels of fan speed control, this technology establishes the new benchmark for performance, precision, speed and operator safety. Unmatched performance, precision & quality. The all-in-one solution for efficient and consistent volume food production. Replace a convection oven, kettle, steamer, fryer, smoker and dehydrator. Save time. Prepare ahead! 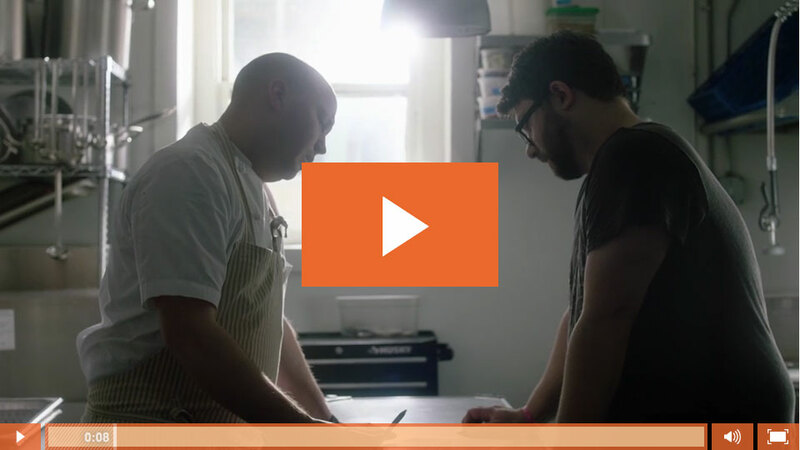 Chef Ed explains how plate retherm works to make life in the kitchen more efficient. Finally, a combi oven that fits your need, budget, and space requirements. It steams. It sears. It braises. It broils. It smokes. It warms. It finishes. It bakes. This powerhouse fits your budget, your countertop, and doesn't require hood space! The CT Express with catalytic converter and 300-TH/III small cook & hold oven are perfect companion pieces for quick service applications. Prep ahead and retherm to serve. Cook/chill efficiency in a small space. Precise, low-temperature cooking with Halo Heat® technology has perfected prime rib for decades. Cook your food to perfection and hold for hours without compromising food quality. No fans. No hood needed. Only big flavor. Where time stands still. Only Alto-Shaam Heated Holding Cabinets use Halo Heat® technology: No fans or harsh heating elements. Support food production and extend preparation times outside of peak hours while maintaining the highest quality of food. Alto-Shaam rotisserie ovens cook extremely quickly and hold chicken wonderfully for hours. Chef Andy explains how to use the AR-7E electric rotisserie and why it's an excellent, efficient rotisserie choice. Tim Murphy of Alto-Shaam demos the Vector Multi-Cook Oven at the National Restaurant Association Show. Charlie the Butcher found Alto-Shaam more than 30 years ago and has never looked back. Steve Cerullo of Geisinger Healthcare explains why they've been a long time Alto-Shaam customer. Tim Bruce, Director of Dining Services & Racer Hospitality at Murray State University in Kentucky, USA, talks about why his school relies on Alto-Shaam combi ovens, blast chillers and cook & hold ovens. David Sorensen from Sendik’s Food Market shares what he loves about his Alto-Shaam combi ovens, rotisseries, and cook & hold ovens. Consistent products and performance are essential to Maws’ operations at his two restaurants, which lead him to Alto-Shaam foodservice equipment. Expectations are high for events at the Milwaukee Art Museum. The culinary team at the museum relies on Alto-Shaam ovens to provide the best banqueting experience for their guests. The Cobo Center in downtown Detroit sought to be an industry leader as it improved its image. Cobo updated its kitchen equipment with a plate retherm banqueting system to increase the efficiency of its service as well as retain, if not improve, the quality of its food output. Charles Roeschs' family thought he was nuts when he first proposed using a cook & hold oven at his restaurant. Thirty-five years later, Charlie the Butcher is one of the strongest advocates for Alto-Shaam cook & hold ovens. Geisinger Healthcare counts on exceptional technical service from the Alto-Shaam FASTeam. Alto-Shaam to the (Bar) Rescue! "[ROTC students] come in 2,600 strong for breakfast and dinner. We have to get 2,600 plates out in 8-10 minutes so they can get their drinks and sit down. [The cook-chill banqueting system with rack management] is the only way we could meet the general’s demands of getting that kind of service for them and the food quality we want to show the kids." Learn how plate retherm increased efficiency and improved food quality. See how Alto-Shaam equipment helps chefs at Mandalay Bay handle large banquet crowds with nothing but the best quality food. Learn how to cook moist, tender corned beef in an Alto-Shaam Cook & Hold Oven. Make moist, tender corned beef in a simple control, cook & hold oven. Slow cooking and smoking in an Alto-Shaam cook & hold smoker oven ensures great yield and extremely tender brisket that's perfect for tacos. Chef Ryan Norman describes his process and how he created the accompanying crema in a cook & hold, as well as jalapeño powder in the CT PROformance combi oven. Chef Patrick Sheerin, proprietor of Trenchermen in Chicago shares how he made his octopus and squid ink gnocchi and what he likes about the Alto-Shaam combi ovens. If a CT PROformance combi oven loses power during start up, the control will force a recalibration of the touchscreen. Learn how to calibrate it. This video covers basics like setting cooking time and temperature, as well as the preheat function and the Golden Brown feature, while roasting some potatoes on combi mode to show the beautiful browning we get -- even with a cavity full of steam! Alto-Shaam service specialist demonstrates how to calibrate the touchscreen control on a CombiTouch Combitherm oven. Chef Robert walks through the calibration procedure for CombiTouch Combitherm sous vide probes. How to clean a boilerless Combitherm oven with CombiClean option. If you have more than one oven, using a USB drive to transfer your menu programs from one Combitherm to the other will save you lots of time, and it will give more consistency to your operation, since all cooks will be using the same procedures! Alto-Shaam is a family company that strives to help employees grow while supplying top quality equipment to the foodservice industry. See what we were up to while at the 2015 North American Foodservice Equipment Manufacturer trade show in Anaheim, CA. Learn how innovation was born of necessity more than 65 years ago.